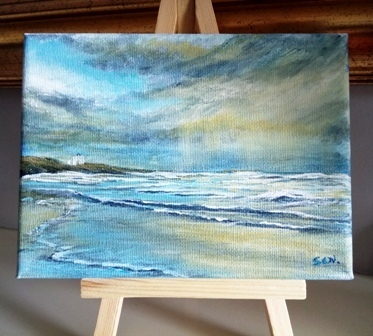 Painted on canvas in acrylic, this mini art shows a lovely seascape with atmoispheric sky. This is an orignal piece of art, signed by the artist, and varnished for a professional finish. It would also make a great present for a friend or loved one. 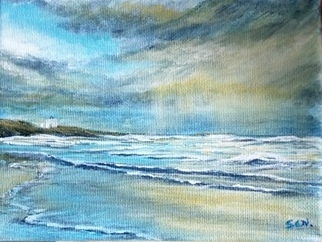 This original art will fit into any home whether large or small, but is effective enough to be noticed by all.